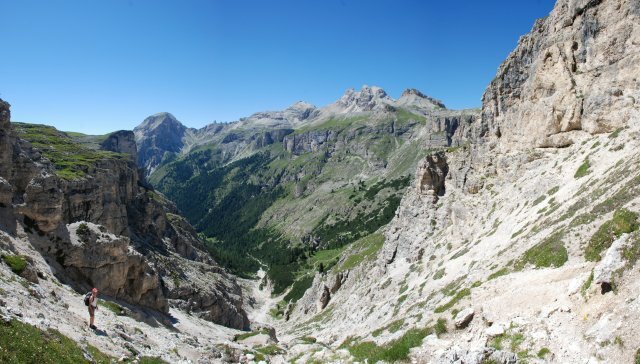 Innumerable hiking trails close to the villages Ortisei, S. Cristina and Selva as well as high alpine trails lead you through the spectacular Dolomites in the summer. Enjoy typical alpine dishes and the soothing peacefulness at the mountain huts and refuges. A large array of hiking guides and maps which are available in the tourist information offices will help you to find the most suited itinerary for you. Check also out the multimedia virtual hiking map on the website of the General tourist information office! Please contact our experienced alpine guides who will be pleased to guide you on a wonderful tour and to tell you interesting facts about the Dolomites as well as its flora and fauna!